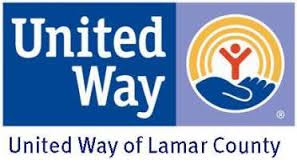 The United Way of Lamar County (UWLC) will launch its Fall Campaign on Friday, September 7, with a Kick-Off Rally at the Boy’s and Girl’s Club at 9:00 am that morning. This event is free and open to the public. This is the 75th Anniversary of an annual campaign to raise funds for nonprofits serving Lamar County. Last year’s goal of $500,000 was reached and 100% of that was allocated to 23 partner agencies. The goal for this year’s campaign is also $500,000 which again has been completely allocated to 24 partner agencies to be distributed in 2019. “TOGETHER” is the theme of this year’s campaign. The 2019 Campaign Chair is Angela Chadwick. The division chairs include: Brenda Wells (Commercial Division); Bob Hundley and Tommy Moore (Government Division); Erin Barnes, James Hall, Kristi Head and Jenci Garcia (Healthcare Division); Greg Wilson (Industry Division); Kenneth Webb, Carla Coleman, Denise Kornegay, Kelly Pickle, Tommy Chalaire (School Division). To hold a workplace campaign, call Jenny Wilson at 903-784-6642. To make an individual pledge or donation mail to P.O. Box 1, Paris, TX 75461 or drop off at the United Way office at 2340 Lamar Avenue. The United Way of Lamar County fights for the health, education and financial stability for every person in Lamar County.